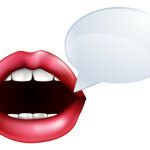 If you want a high band in the IELTS Speaking test, you need good pronunciation. But you don't need to change your accent. Just pronounce words correctly and make sure the examiner can understand you. The problem for many learners is that English spelling is 'non-phonetic', which means that many words aren't spelled the way they sound. In this post I'm going to present 5 words which are often pronounced incorrectly by IELTS candidates. In this post, I'm going to present some English pronunciation problems that are typical for speakers of Spanish, Portuguese, Hindi, Arabic, Russian, Mandarin, Cantonese, Korean and Japanese. These mistakes can make it difficult for a native speaker to understand you, so you should try to work on them. You don't need a native speaker's accent, but it's very important to be understood. 25% of your IELTS Speaking test score is based on pronunciation. I don't know how many times IELTS candidates have asked me this question. Unfortunately, there is no simple answer. Simply "practising your speaking" is not enough. Nor is doing vocabulary and grammar exercises. The natural process of learning how to speak fluently is a little more complicated than that. So in this post, we are going to examine this problem in some detail. 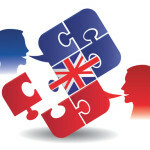 Many IELTS candidates want to know if it is necessary to have good pronunciation in the IELTS Speaking test. In today's tip I am going to discuss the importance of pronunciation and present some tips on how you can improve yours.